People issued with fines for dropping litter in eight Scottish council areas faced no chance of being referred to the courts if they simply refused to pay, The Ferret can reveal. Across the country, Scottish local authorities issued more than 42,261 tickets for litter over three years. However, data released under freedom of information law suggests that fewer than half of these tickets, which carry an £80 fine, were paid. Of those unpaid tickets, just 756, or 13 per cent, were referred to the courts for further enforcement, meaning that at least 2,092 people were let-off without paying their fine. The Scottish Conservatives said that council efforts to crack down on littering were “pointless” without “proper enforcement” such as fines and prosecutions. People referred to the courts for failing to pay a fixed penalty notice could receive a fine of up to £2,500 and a criminal record, if found guilty. Dealing with litter and fly-tipping is said to cost tax-payers £53 million per year. But in eight council areas, not one unpaid ticket was referred to the procurator fiscal. In North Lanarkshire, the council with the largest number of unpaid tickets, officers issued 1,980 litter fines over three years but only 888 were subsequently paid. Not a single one of the remaining 1,092 unpaid tickets were referred to the courts. The council did not refer unpaid tickets for dog-fouling and fly-tipping to the courts either. Elsewhere, Argyll and Bute, East Lothian, Falkirk, Highland, South Ayrshire, Stirling and West Dunbartonshire councils all failed to make referrals for unpaid litter tickets to the procurator fiscal. Between them they administer an area of land larger than Belgium. 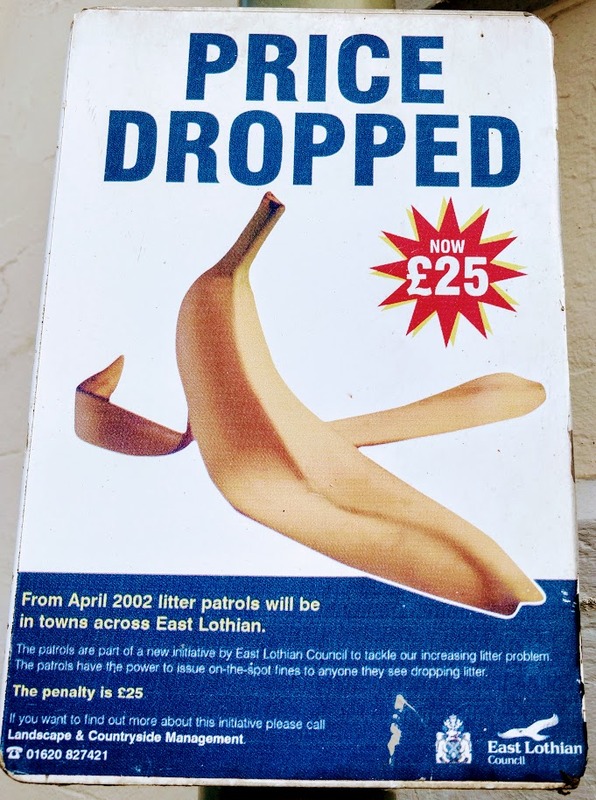 East Lothian Council issued one litter fine in three years. It was not paid, and the recipient was not referred to the procurator fiscal. Our probe found that Scottish councils took no action on 2,092 unpaid litter tickets over three years, but these figures do not include Scotland’s largest city. Glasgow City Council issued the largest number of fixed penalty tickets in the country by some margin. It issued 36,380 tickets over three years, but just 46 per cent were paid. The council has refused to reveal what proportion of the 19,608 unpaid tickets it issued were referred to the procurator fiscal. The Scottish Information Commissioner is currently investigating. How many fines were paid where you live? The map below shows the total number of fixed penalty notices issued by each council for litter, dog fouling and fly-tipping, along with information on how many were subsequently paid, and how many of the unpaid fines were referred to the courts. The darker red areas of the map are are areas with the lowest payment rates. Note: The figures given cover three years, from April 1 2015 to March 31 2018. There is no data for Fife. Edinburgh could not supply complete information for the whole time period. The data it did provide covered two years, not three. Glasgow has refused to provide data on referrals to the procurator fiscal. The Scottish Conservatives said it was “absolutely right” for councils to crack down on littering. “Fly-tipping is not only unsightly but can be extremely dangerous and dependent on materials dumped, it can create an environmental hazard as well as an unwelcome blot on the landscape”, said Tory local government spokesman, Alexander Stewart MSP. “Dog fouling has the potential to spread diseases such as toxocariasis which can cause serious illness, and can even lead to blindness. Pete Leonard, operations director at Keep Scotland Beautiful, said that it was important for “all local authorities to follow up on unpaid fines,” and pointed out that a key aim of the government’s national litter strategy was to strengthen the enforcement system. John Mayhew, the Director of the Association for the Protection of Rural Scotland called on local authorities to prosecute people for littering, which he said spoils “our valued rural landscapes and damages the quality of life of local residents and visitors”. 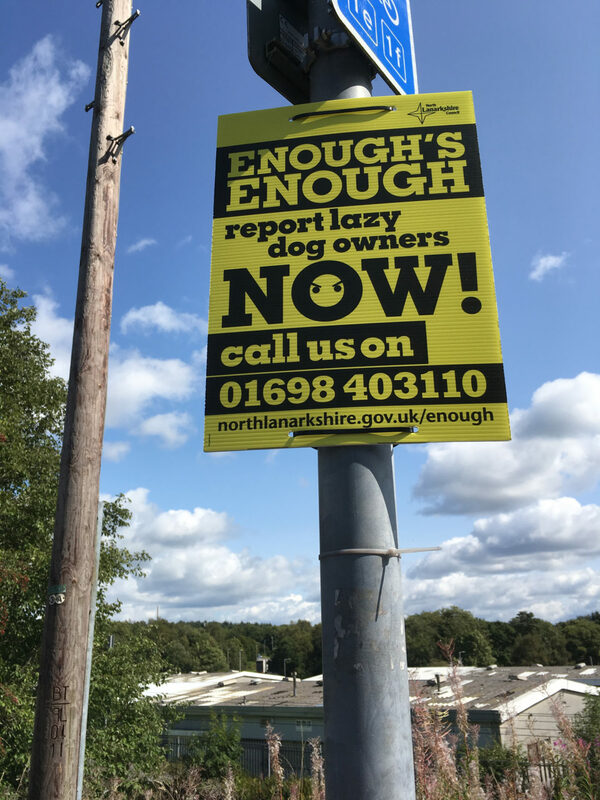 North Lanarkshire issued 95 dog fouling fines in three years. None of the unpaid fines were referred to the courts. However, he thought it was unsurprising that councils struggled to do so because of funding cuts. “When local authorities are even closing public toilets across Scotland it’s inevitable that their monitoring and enforcement of environmental offences will fall short,” he said. Extended producer responsibility (EPR) is a scheme that puts the onus on manufacturers and brands to take environmental responsibility for the products they sell, and the associated packaging. Such actions can include arranging and helping to pay for waste collections, recycling and responsible disposal, designing products for re-use or recyclability and encouraging consumers to correctly dispose of their products. Aberdeenshire Litter Initiative (ALI) is a community group which encourages Aberdeenshire residents to ‘Adopt a Street’ in order to keep it clear of litter, believes that a widespread approach is required to tackle littering. Leithers Don’t Litter, a campaign group in Leith, north of Edinburgh‘s city centre was inspired by ALI and believes that the issue can be tackled with community action. Farrell’s group visits schools and youth organisations to talk about the damage caused by littering, and gives out Leithers Don’t Litter badges, anti-litter posters, and “poofighters” badges and bin stickers to deter dog fouling throughout Leith. Farrell also believes brands should take some responsibility for waste. Her group held “Crapitalism”, a “Rubbish Exhibition” which aimed to expose big brands who she said take “very little responsibility” for the waste they produce and instead pass the disposal costs to local authorities. “They sponsor litterpicks to clean their conscience while many of them still oppose the introduction of a deposit return scheme”, said Farrell, who has campaigned for the scheme. 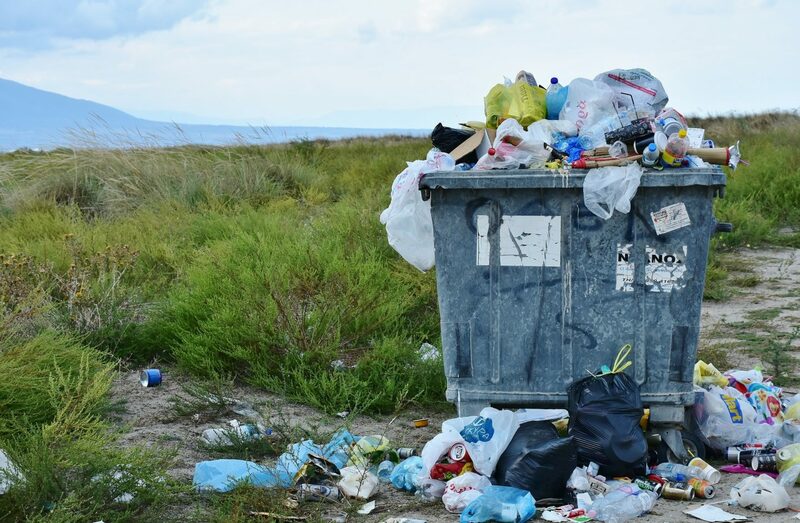 A spokesman from the Convention of Scottish Local Authorities (Cosla) said that the enforcement of littering fines was an operational matter for individual authorities, but that cuts to local government funding make it more difficult to maintain such services. An East Lothian Council spokesperson said: “Council teams are very proactive in working hard to keep East Lothian clean and an attractive place for residents to live, as well as for the many visitors who enjoy our local attractions. “We have a strong policy of litter and waste awareness with an emphasis on public information and engagement. We have introduced a number of measures in recent years including a dog watch scheme promoting responsible dog ownership including the need to clean up and are working in partnership with Police Scotland on a rural crime initiative which includes a focus on fly tipping. “The Community Wardens also carry out advisory visits to schools and other community groups in addition to regular patrols which have resulted in a measurable decrease in litter across the county. The recent Code of Practice on Litter and Refuse statutory guidance provides local authorities with clear targets on litter and refuse which we aim to reach for each category. A Falkirk Council spokesperson said: “The council makes every effort to recover payments for fines it has issued. Unfortunately it can be difficult to refer some cases to the court due to the significant amount of evidence needed for a successful prosecution. “We continue to take action against those responsible and have recently introduced CCTV to gather important evidence and this will be used wherever possible to prosecute those responsible. “Littering, fly tipping and dog fouling are clear examples of anti-social behaviour. We will issue fixed penalty notices where we have evidence to support these, and work within the framework of the current system. A North Lanarkshire Council spokesperson said: “North Lanarkshire Council’s payment rate for Fixed Penalty Notices for littering is among the highest in Scotland, currently at 49%. We aim to refer all unpaid notices issued on the basis of corroborated evidence to the Procurator Fiscal, but similar to all local authorities in Scotland, there are complex reasons why some are not. A Stirling Council spokesperson said: “The fact we have issued more than 500 fines for fly tipping, littering and dog fouling over the past three years, plus additional fines for parking contravention, proves that we take enforcement seriously. “Our aim is to encourage a culture of compliance through education, engagement and ultimately enforcement and where action is needed, we will take it. As the figures for fine recovery show, work remains to be done to achieve this aim and we are determined to see it through. We approached West Dumbartonshire Council for comment, but did not receive a response. Update: This article was updated at 15:10 on 28 September 2018 to include a reaction from North Lanarkshire Council. Paying members of The Ferret can access the complete data for this story. If you are not already a member, you can join here.